With 417 Days A Year I think that perhaps I would learn to bake. Baking is one of the many things in life for which I have no real talent. This list is long and I shall not bore you with it here. I never learned to bake as a child and it isn't something which I have really taken the time to learn to do as an adult either. 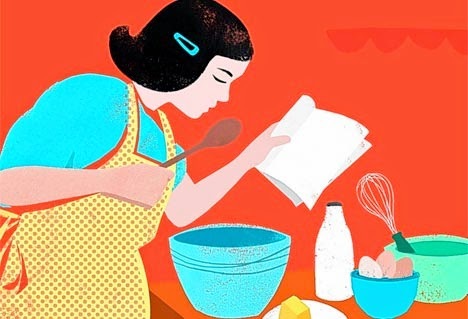 I do love to cook but because I am not a great fan of the rules and regulations associated with recipes, baking recipes tend not to be my 'go to' place when I need to make desserts. I mastered the Chocolate Brownie some time ago but after that success I was somewhat reluctant to move forward. After-all you can't really beat Chocolate Brownies. This was, until I had a guest that didn't eat chocolate. This snippet of information (something that I still find most unusual) caused a last minute panic. The sort of panic that can only be solved by friendship. I reached out to a friend and received a 'fool-proof' recipe. My friend asked me what ingredients I had in the kitchen and promptly suggested her 'fool-proof' recipe for Lemon Cake. This recipe wasn't hers but came from her husband's aunt and was apparently guaranteed to work and to be a success both in its appearance, taste and ability to be appreciated every time. I wasn't convinced but I tried it and to my amazement it was perfect. It became my non chocolate 'go to' recipe and it has since been shared with many friends, who have in turn, passed on the recipe. I think of the Lemon Cake as a friendship cake. The recipe was given to me by a friend in my time of need. I have baked it for friends both at home and away and I have passed it on to friends as well. I have found it very hard to 'kill' this cake. When I forgot to add baking powder, it made delicious Lemon Bars. When I used a tin that was too large, we had a thin and delicate cake. This friendship cake always worked like a little miracle - until today. Today I burned the Lemon Cake. Despite the right ingredients, the right oven temperature and the right amount of time on the timer, I burned the cake. I didn't do anything differently today in the way that I prepared or baked the cake. The only change was how I felt when I was making the cake. While excited about making the cake and taking it to a lovely friend tonight I was very aware of another friendship that has been struggling recently. I am actually rather scared that this friendship may be burning out and this has been a difficult and unwanted thought. It was on my mind when I made the cake. I am not sure that I will make it again, despite its recent success because now it feels like my Burned Friendship Cake and I think it may be time for a new recipe. Friendships are delicate relationships that require just the right mix of ingredients and care. Some friendships come to a natural end. Sometimes we are lucky and our friendships change as we change, maturing with us. Sometimes, I am taken by suprise as a new friendship springs up from nowhere reminding me how wonderful friendship can be. The year ahead will bring many changes in our friendships and much staying the same. My wish is that however this works out, it will be advantageous for everyone. If you would like to share your 'go to' cake recipe then please do so in the comments. That would be really wonderful. Meanwhile, in the loosely translated (and never formally attributed to) words of Marie Antoinette, "Let them eat cake".